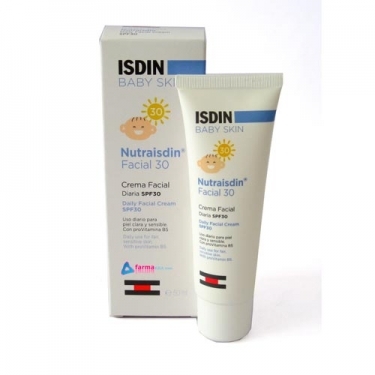 DESCRIPTION: Nutraisdin Facial Cream SPF30 from Isdin is a daily moisturizing care for the baby's face that protects the skin clear and sensitive of the harmful effects of the sun. It is especially suited to protect the baby's delicate and sensitive facial skin from UV rays while the aloe vera formula soothes the skin and Vitamin E has an antioxidant activity that helps protect against free radicals. fatty acids and dexpanthenol nourish and moisturize the skin. The formula makes this cream a complete treatment to help protect the delicate skin. 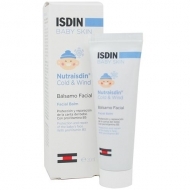 Apply on clean and dry skin of baby's face whenever you need.